When a mysterious man besieges an office tower in Manhattan, he threatens to execute his hostages and unleash terror if his demands are not met. And he will only negotiate with Alexander Blackwell, a former legendary FBI Special Agent whose career had ended abruptly a few years before. The FBI tracks Blackwell down on a tiny Caribbean island and he reluctantly agrees to negotiate with the suspect. As the clock ticks fast to the deadline, Blackwell soon realizes that the only way to save the hostages and prevent catastrophe is to figure out who this enigmatic suspect really is, and why he asked for him by name. But what he discovers is a chilling global conspiracy at the highest levels of government. It challenges everything he ever held sacred, and threatens to destroy his life all over again. 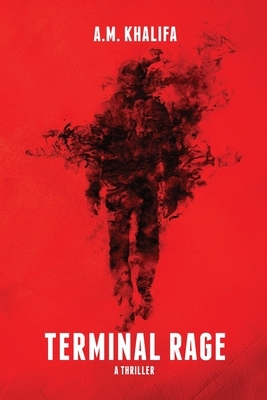 Terminal Rage is an explosive novel set in the post 9/11 world, where terrorism is no longer defined by who the terrorists are, but the sophistication and impunity by which they operate.